One of the unique features of Crete is the still-alive presence of small family factories engaged in craft production of traditional Cretan products. Virtually in every major village you will find a shop where local handicraft products are sold. 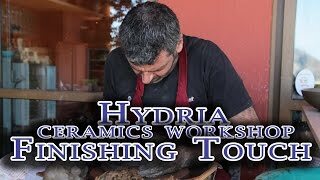 Today we would like to introduce you one of such places, that is, the Hydria pottery plant located in the town of Asomatos. 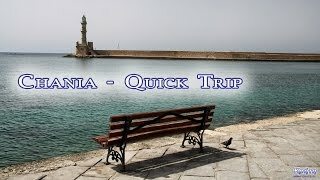 Chania for most people is the most beautiful city of Crete. We invite you to watch a short film from a walk around the Port of Venice and its surroundings. This most representative part of the city attracts tourists like a magnet. 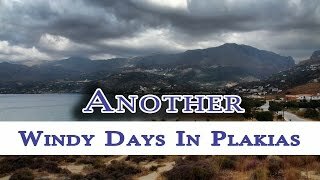 We've always wanted to see Crete in the clouds, but from June to August it's not a very common sight and if it's already high up in the mountains. This time, however, our Crete surprised us. 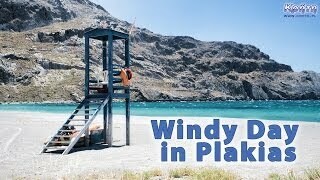 Along with the very gusty wind blowing from the north over Plakias clouds came, which scrolled for several days. Using this unusual aura for July, we recorded several shots of a deserted beach. Airport. Ioannis Daskalogiannis in Chania is the second largest airport in Crete. 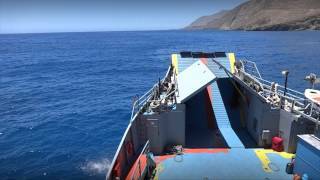 Today we post a video from the moment that probably none of you like, or the departure from Crete. 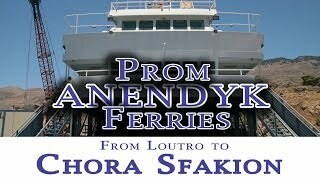 We would like to invite you today to watch the short production of our work entitled "A windy day in Plakias". Tutułowe small town located in the central part of the southern coast of Crete. The proximity of many attractions may encourage you to choose this place as a base for exploring this region of the island. 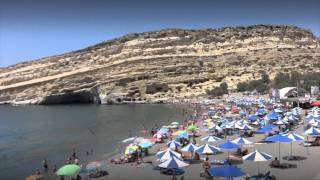 One of the longest beaches to be found in this part of Crete is a great asset of Plakias. 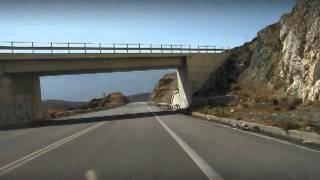 New National Road is a peculiar communication backbone of the northern coast of Crete. A significant part of tourist traffic is carried out through this road. However, due to the difficult mountainous terrain, not all areas of the island are as well connected as the northern part of Crete. The wild south coast of the western part of the island has its own maritime equivalent of this land route - it is a permanent ferry connection connecting the most important towns of this region. 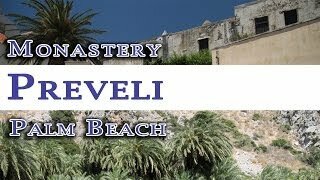 In 2010, when Preveli beach was largely destroyed by the fire that raged there, it seemed that for a long time this place would be removed from the group of the greatest attractions of Crete. The sticky stumps of palm trees that remained from the old grove presented a very depressing view. 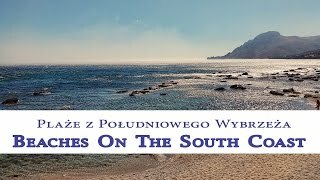 Today we have the opportunity to present you a film from our this year's expedition to this beach. Find out how to regenerate nature yourself. 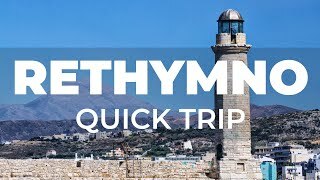 Today we offer you a quick virtual walk through the streets of Rethymnon, which is the third largest city of Crete. 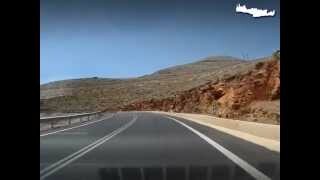 The city lies in the north-western part of Crete, more or less in the middle of the New National Road section connecting Chania and Heraklion. For many years he has been competing with Chania for the title of the most beautiful city of Crete. Find out for yourself whether it deserves to be called. 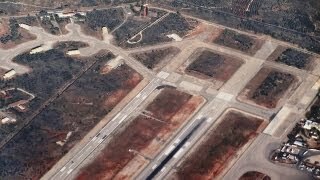 In reference to the recently published description of the airport in Chania, today we present you a movie showing the landing at the airport. Ioannis Daskalogiannis. It is worth remembering how most of us greeted Kreta the more that the holiday season is about to end, and for some people the holidays are distant memories. Drive by car on a gravel road leading to Tripiti beach. It is in vain to look for information about this beach in traditional paper guides. No wonder then that this place is overlooked by matourism and the vast majority of those who vacation on this beach are local Greeks. We wish you nice watching ... the road is really "interesting". Loutro is a tiny port located on the south coast of Crete, which can only be reached on foot or by sea. 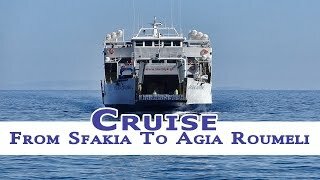 Loutro ships regularly depart from nearby Chora Sfakion. The cruise is short and takes about 15 minutes. We invite you to a movie shortcut from such a cruise. 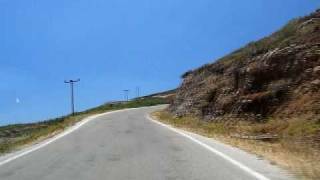 We invite you to a shortcut of this year's stay in Crete. This short clip is also a preview of new films that we will post in the near future. Have fun watching and do not forget to turn on the speakers :). Monastery dedicated to Saint. John was founded by a magnate named Prevelis from whose name he gained the colloquial name of Preveli (Greek: Πρέβελη). The beach, located a short distance from this monastery, attracts numerous groups of tourists who want to rest in the vicinity of the palm grove growing on the Megalopotamos estuary. How the access to the monastery looks like presents the following video. 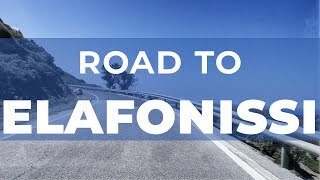 Driving from the north to Hora Sfakion, it passes through a road that can be considered as one of the most winding and picturesque roads in Crete. However, if you are already in this place and you are looking to repair an interesting road then you have to go in the direction of Arden, located near the village, because only the road leading to this village shows the true face of a winding road. Elafonisi is a small island located on the south-western tip of Crete. Pink sand and a large lagoon with warm water attracts tourists in the holiday season. 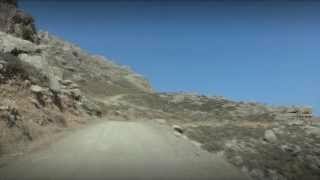 From the side of Kissamos, the most popular way of getting to this beach is through the Gorge of Topolia and along the western end of Crete. 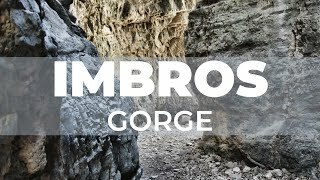 The Ha Gorge is one of the many magical places in Crete. Due to the steep entrance, exploration is practically inaccessible to ordinary tourists. Without the proper equipment and knowledge of climbing techniques, it is only admiring the narrow mouth of the ravine and its impressive walls steeply rising over 300 meters up. As my example shows,succumbing to the temptation to press gas more strongly may end in an expensive mandate, as the Greek Police (like Poland) has many places where it is willing to set up with traditional dryers and laser speed meters. I hope that this film will "pick up" some of the visitors to Crete. Holidays in Greece and Crete, a description of tradition, served dishes. A description of Easter in Crete. Crete is the largest Greek island and the fifth largest island of the Mediterranean. In spite of the strong ties that connect Crete with continental Greece, this island has retained its separate language dialect and local cultural traditions up to the present day. The distinction should also be expressed by the fact that the majority of the inhabitants asked for their descent will in the first place say that they are Cretans, and only then will they describe themselves as Greeks.